Two years ago we made our first trip to Amsterdam. On that trip, we saw the Van Gogh Museum, the Rijksmuseum, took a Canal tour, ate the best-rated Frites in town, rented bikes, spent a day in Vondelpark, visited the Floating Flower Market, did lots of window shopping in the Nine Streets district, ate amazing Indonesian food, and had an extended visit to HEMA. Plus visited the tulips, too — we caught the very tail end of the season. 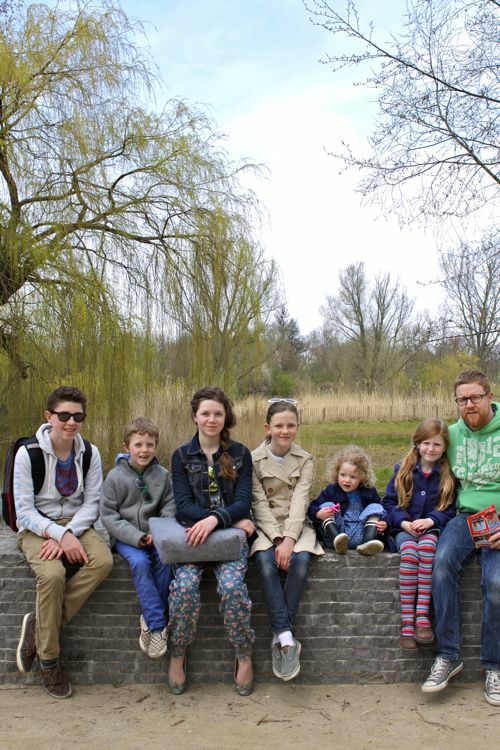 You can read about all of our travels to The Netherlands here. But this trip was totally different. 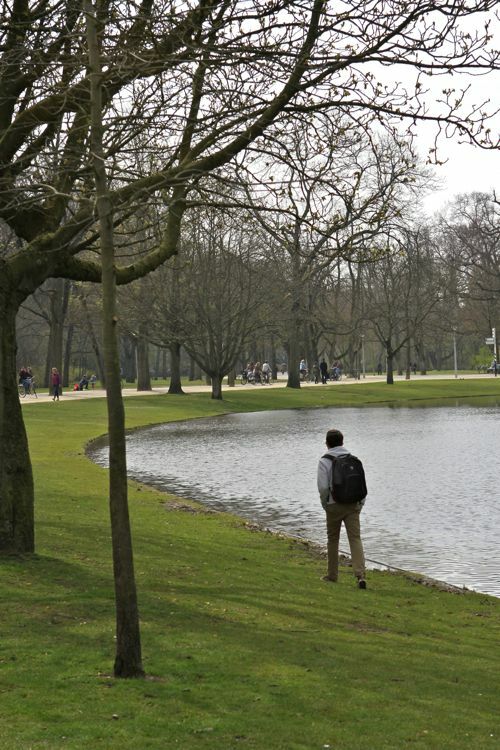 With the exception of a return visit to Vondelpark, it was all new! Based on this trip, there are 5 things I want to pass on for those of you planning your own visits to Amsterdam. But Ben Blair found space at the Lloyd Hotel and we LOVED it. Staying outside of Old Town meant riding the tram to get back and forth to our hotel. We bought 24-hour tram tickets from the hotel check-in desk and ended up using them a ton. We would climb on a tram whenever we needed a walking break. That same night, I was in back at the hotel, talking to the staff about a display wall in the hotel restaurant. I asked if the display items were for sale, and they mentioned that yes, the hotel owners owned a shop in town called Options, where I could buy the items. I about died! Our favorite meal of the trip happened on the first night, right across the street from the hotel. We ate tapas at Puerto Pata Negra. It was a Sunday night and the restaurant was rocking! Live music and everyone so friendly. Tapas is perfect for a family like ours — everyone gets a bite of everything. While we’re on the topic of food, I should mention we also ordered poffertjes every time they were on the menu. They’re a miniature puffed pancake — I like them best with butter and powdered sugar. And we had bitterballen twice. Yum! 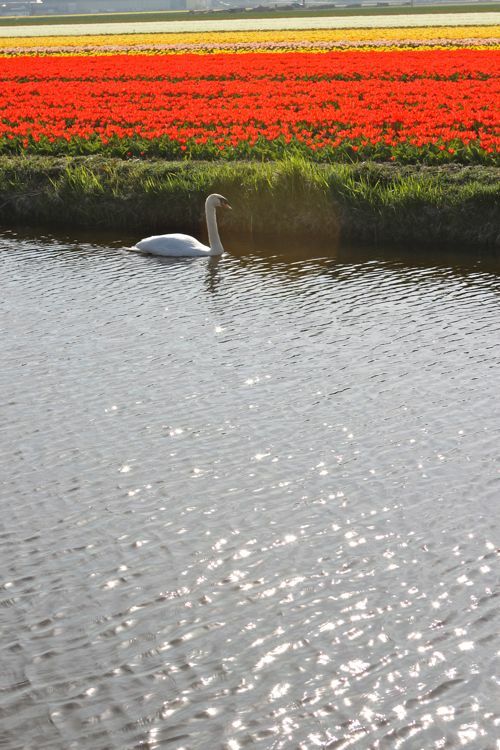 If you’re planning your trip to coincide with the tulips, even with the most careful calendering, you might miss them. But that’s okay. It’s beautiful anyway! Because we pretty much missed the tulips on our last visit, we were excited to get this second chance. And we carefully, carefully studied the calendar and the tulip websites and picked days that were predicted to be right at the tulip peak. But once again, we missed it! Hah! In fact, it has been so unexpectedly cold this year, that the tulips are on a 2-week delay. So instead of getting the peak, we got a peek. 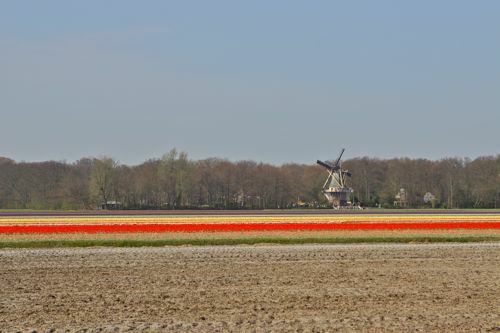 There were a few tulip fields in bloom and they made a dramatic neon slash across the end-of-winter landscape. Simply gorgeous! 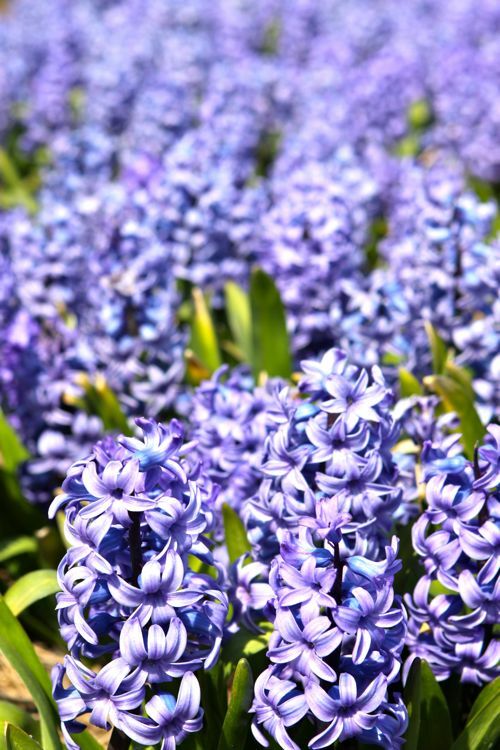 Plus, there were lots of earlier blooming flowers still around, specifically fields of hyacinths and daffodils. 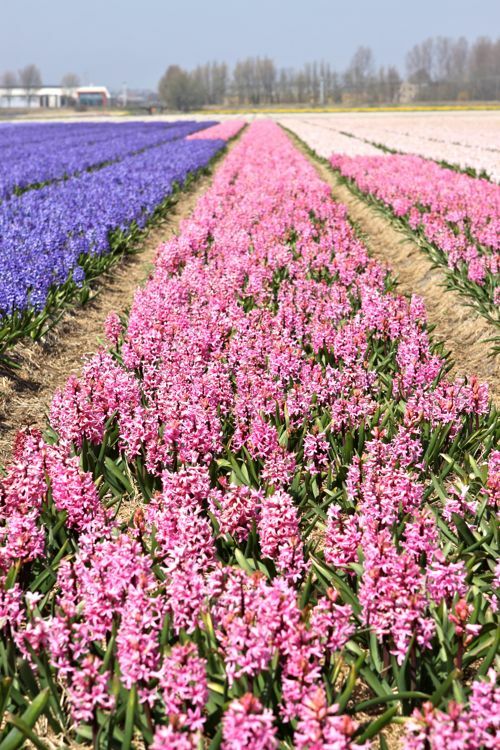 The hyacinths scented the air for miles. Seriously remarkable. We drove with the windows down so we could enjoy it. There were busload after busload of tourists who, like us, had also planned their trips for the peak of the season. We all took photos of the few fields and had to laugh about it. But really, even the few fields were pretty darn gorgeous. And even if there were no flowers at all in bloom, the windmills would still be something amazing to see. We sort of remembered this from our last visit, but talked about it more on this trip. I swear, the Dutch have a gift for languages. In addition to their native Dutch, it seems like everyone we encountered could slip into English, French and German as well. And with ease! 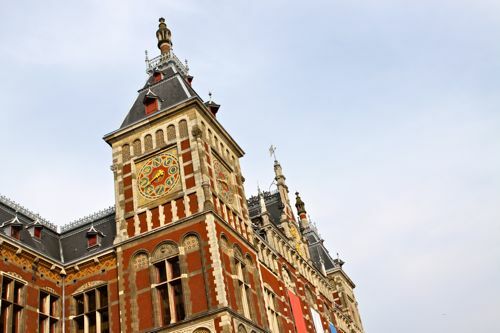 If not-speaking-the-language makes you nervous about traveling to a foreign country, Amsterdam would be a good destination for you. Yes, the signs are in Dutch, but everyone speaks English, so potentially frustrating language situations become a non-issue. Amsterdam is all about the bikes. 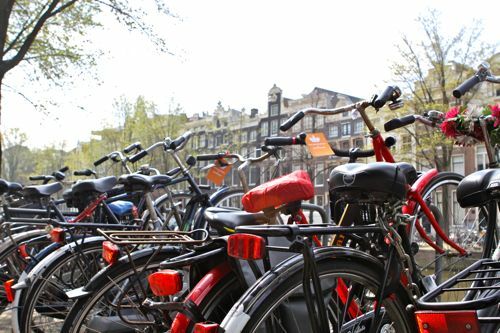 You’ll see bikes in all European cities, but nowhere we’ve visited compares to the bike culture in Amsterdam. It’s kind of mind-blowing, and it’s hard to describe how truly pervasive it is, because there’s nothing to compare it to. I find it so unusual that it makes me super curious about how it developed. 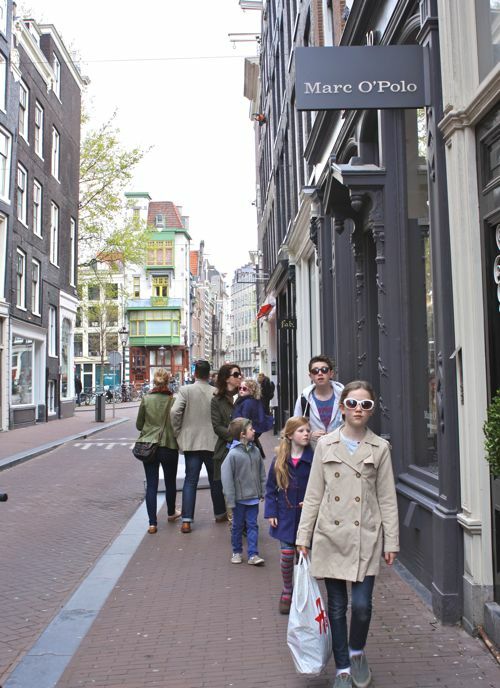 In Amsterdam, we remind the kids to be aware of their surroundings constantly. I’m sure it becomes a sixth sense if you live there, but as visitors, it was sometimes tricky to identify when we were on a sidewalk versus a bike lane versus a road. 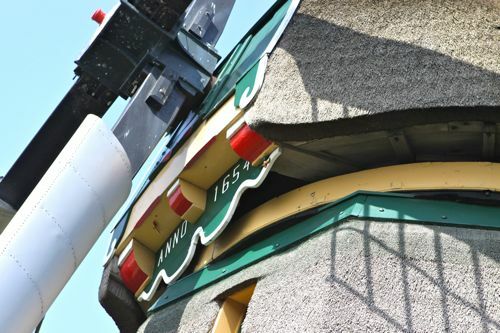 There are parts of the city where all 3 blend together! There were a few times that one of our distracted kids had close call with a bike. So pay attention! The Line at The Anne Frank House Moves Fast. And It’s Worth It. Because the point of this trip was to film an Olive Us episode, we knew we wouldn’t have very much time for culture stops, but the Anne Frank House was at the top of our list. There was a line, but it moves fast, and friends, it was worth the wait. The thing is, this is not just a really well-done museum. It’s the actual space where Anne and her family lived and hid for two years. You get to walk through the actual rooms! This is not a toddler visit sort of place. I mean, our youngest was happy and there was plenty to distract her, but it’s quite a somber visit. The older kids, who are similar in age to Anne herself, were really moved by the visit. I’d say this is a good stop for 8-years-old and up. At the end, there was an exhibit talking about cultural questions of freedom and how they sometimes come in conflict with each other. Fascinating stuff! Highly recommended. One last tip: To keep ourselves occupied while we stood in line, we went over the wikipedia page about Anne Frank with the kids, so they would know what they were about to see. Oscar was entranced. We also took photos. This is one of the views from the queue — not a bad place to spend some time. I hope you find these notes helpful! Writing them up makes me wish we’d had a longer trip. I really, really like Amsterdam. I think it might be my favorite European city. There’s a very cool, creative vibe there. And I love how the city has layers and layers of ancient and modern right on top of each other — with a scribble of bikes all around the edges. Yay Amsterdam! P.S. — These last shots below are of our return visit to Vondelpark. 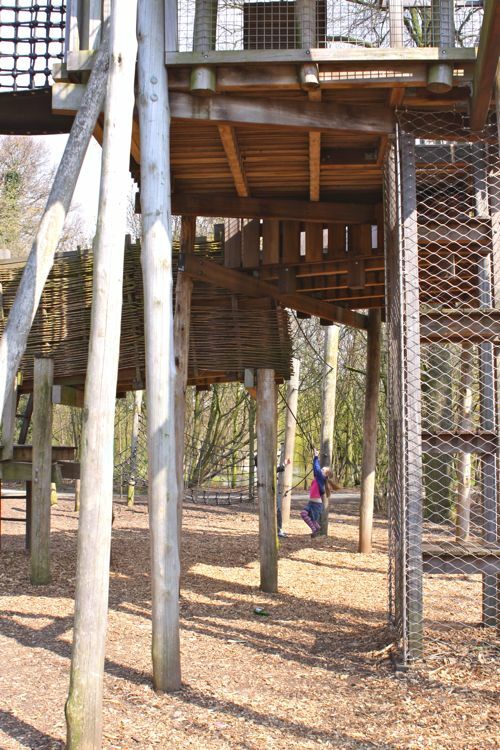 They have the most amazing play structures there. So high and vast. They look absolutely death-defying! Dear Gabrielle, I know your schedule is tight, but you and your family should visit Copenhagen, you would love it! I’m traveling to Copenhagen in July. Pray tell – what do I absolutely HAVE to see and do while there?! If you like modern art, there is a wonderful museum North of CPH (called Louisiana Museum). All the city center is worth a walk, Rosenborg castle and the park next to it is nice as well (I recommend a picnic there). With kids, Dyrehaven in Klampenborg (north of the city) is a beautiful park full of deers (very easy to spot them, they are literally everywhere and not afraid of people). Thanks so much! What a fantastic help! Now I’m perfectly pumped to walk around the city and the parks are just our speed! I’m looking for fantastic food spots, as I’ll have mornings and evenings to myself. Are there a couple places where you just love to eat?! I love Brasserie Degas in Vesterbro area, which is a great French restaurant in town (I´m French;). For more local food, I like the brunch of the Post&Tele museum on the WE (plus their terrace gives a great view on the city center). If you like beer, there are lots of small breweries in the city, Nørrebro Bryghus offers a menu with a beer matching every dish. There are also lots of places featuring the “new nordic cuisine”. I recommend you to go to visitcopenhagen.com to have more ideas. Have a great stay in CPH! 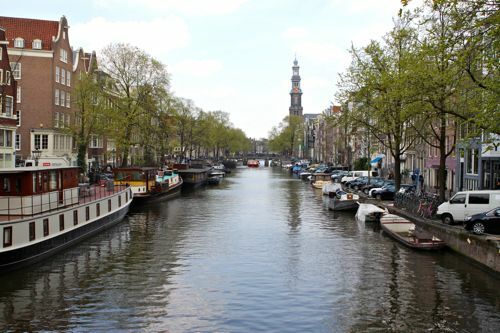 A few years ago when we visited Amsterdam our family rented a houseboat on a canal! It was a blast! 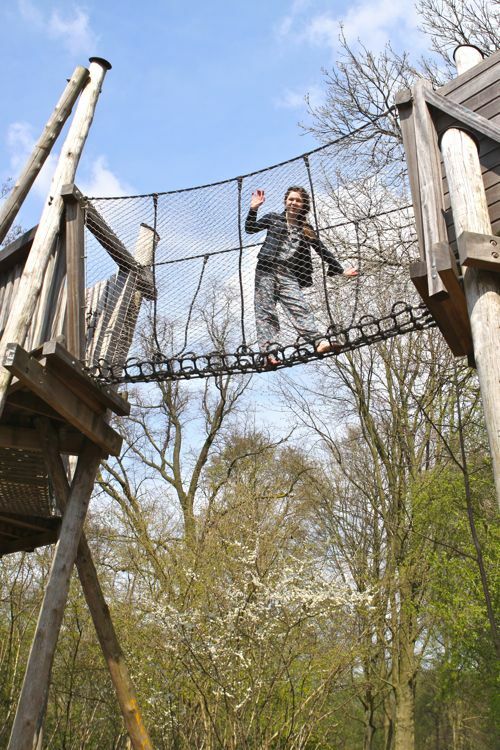 Down the street from Vondelpark is Österpark — with different structures that are equally terrifying. :). I marveled that our kids made it out of there without broken limbs. Thanks for sharing your experiences, Gabby. We are looking forward to going back someday and will defitely use these tips. Loved this post! I always love looking at your amazing photos! If I am ever headed to Amsterdam I will definitely use this as a reference! What a perfect day to read this report. I’m missing the NL and all of my friends there on this last Queen’s Day. We were only there for 2 years, but they were jam-packed with all kinds of memorable experiences and your report was a gezellig trip down memory lane. Veel dank! Oh how I wish I could be in Amsterdam this moment! Three years ago, we spent 5 glorious days biking and camping around the Netherlands. 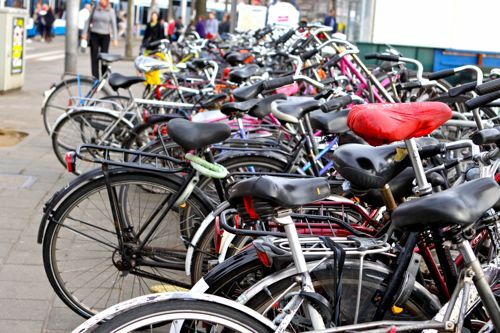 We rented bikes in Amsterdam and just sort of went around towns that interested us, all the way to Delft and back. I was surprised at how feasible and easy it was. The paths are omnipresent and excellent, winding through postcard towns and farms (sheep! ), campgrounds abound, and the people are ever so nice! Not to mention the yummy treats! I dream of one day returning with kids to do it again. How fun would it be to travel with a young one in the basket, Dutch-style? Thank you for the lovely photos and the good memories they bring! This is wonderful. 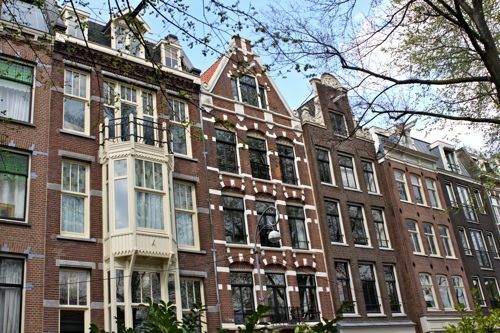 We have a dream of taking our family on sabbatical to Europe for a year and Amsterdam is at the top of our list. Your post just confirmed all that I love about that city! Oh my gosh it’s so beautiful ! Glad you’re enjoying your time there. Oh and I have to say, it’s so inspiring to see you traveling with kids. Great to see this post on Queen’s Day. My dad is Dutch. He came here when he was 18 (speaking 5 langauages!) but all of his family is still there. 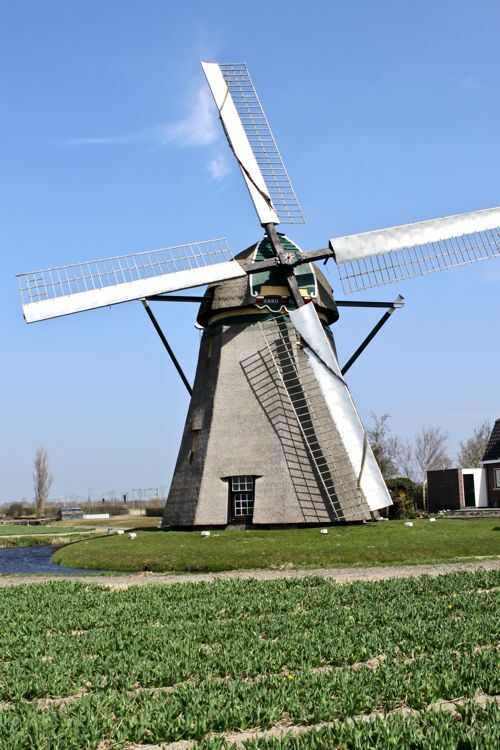 In fact my Aunt lives directly across the street from one of the only windmills still remaining in Amsterdam. To answer your question about the bike culture watch this great video. This was a great video! I will share it with my kids before we travel to Amsterdam this Summer. Thanks for sharing. I was born and raised in Holland (I moved to Luxembourg 25 years ago to marry my husband). Today I spent the whole day in front of the tv, watching the Queen’s abdication. I am feeling a little homesick today! So excited to see this post, because I’ll be in Amsterdam in eleven days !! Hopefully the tulips will still be hanging around !! Now, to find your post about Belgium, cause we’re going to be there too. A quick tip for the Anne Frank House is to pre-book your tickets on-line. Last time we were there we booked ahead and could walk directly inside without waiting (you book a specific time slot). The day we were there there was a 3 hour wait to get inside the museum so it really helped. Amsterdam really is the best city! 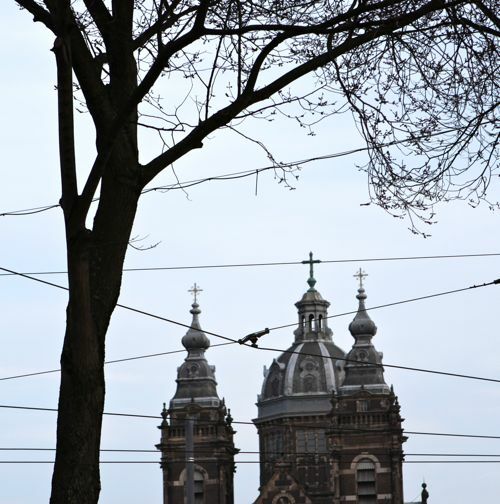 I loved the Netherlands when I lived there as an exchange student. Everyone learns all those languages in school so the country is very easy to travel in. It did make it frustrating for me though, as i was trying to use my Dutch and people would hear my accent and switch to English. 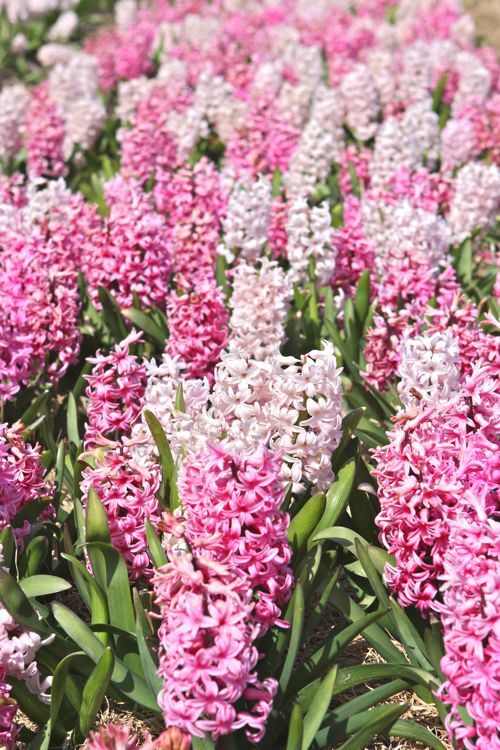 I loved the tulips in the spring and visiting Keukenhof. 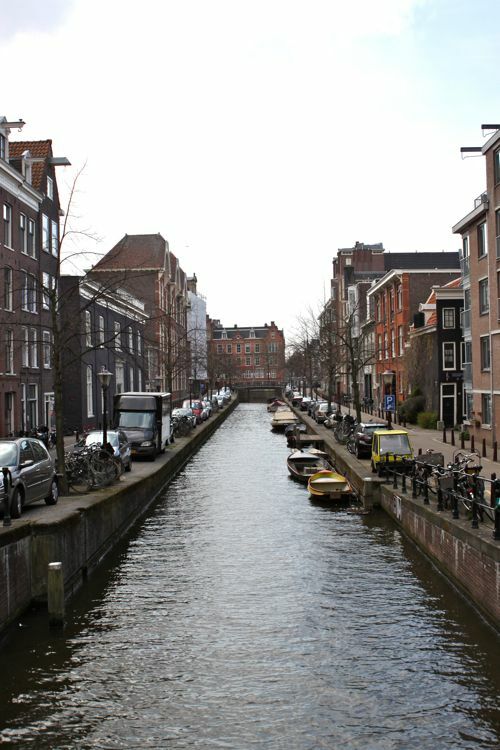 I went to Amsterdam many times and loved wandering around by the canals and going to the museums. I kept hearing about the new King today and it really brought back fond memories. I was there when Queen Juliana was the Queen and we got to go in the parade past the steps where she stood and she waved to us because we had Canadian flags (she lived in Canada during the war). I really enjoy reading your travel posts. Thanks so much for all the great info. 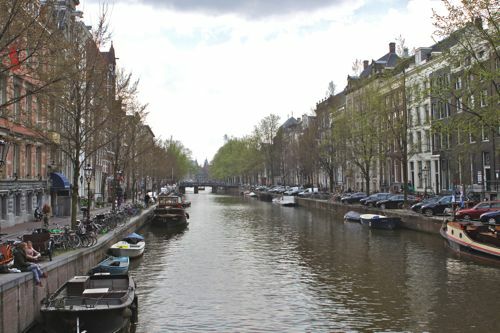 I have never been to Amsterdam, but now I really want to take my kids there! I am bookmarking this post for when we go one day! I’m so glad you wrote that because I feel the same way. Amsterdam might be my favorite European City, more than Paris, and my mentioning this always shocks people. I loved Paris but Amsterdam was always so homey and friendly and ditton on the everyone speaks English, it made things so much easier. I’m n0t sure when we had more fun during our European cruise last summer than in Amsterdam and surrounding cities and countryside. We ALL connected with our inner kids! This is perfect! My family is heading to Amsterdam in 10 days and this just makes me that much more excited! So you changed my mind about Amsterdam. I visited there last September for the first time and was completely underwhelmed. For me, it was the only low point of our 2-week trip which included Belgium and Germany. We stayed in the touristy area. Though I liked the canals and history of the architecture, the rest felt dirty and cheesy to me. But your post convinced me to give it another shot. :) Thanks! Thanks! Will keep the park names in mind for when we go back. 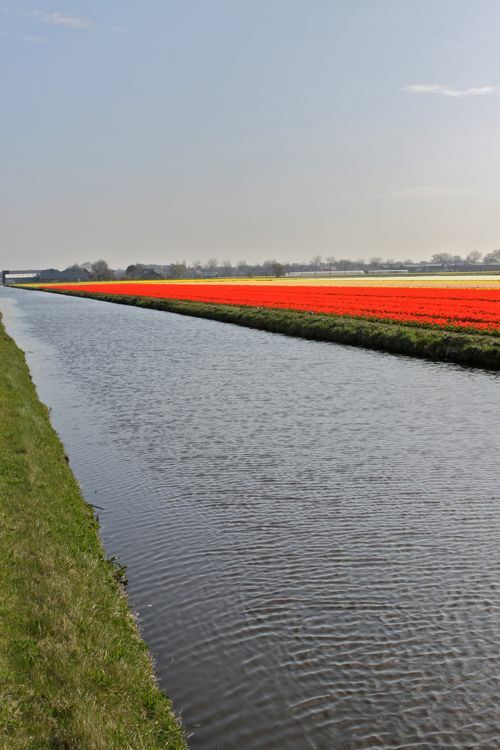 We went there perhaps 10 years ago with my in laws before we had kids and had a blast–the tulips are gorgeous, and so were the canals. I wish I could live there :-) even for a little bit. 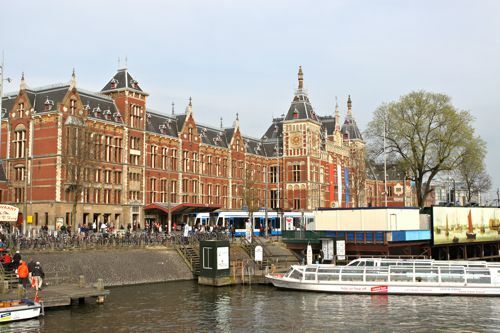 Can’t wait to take the kids back…..
Wow, what a lovely words on Amsterdam! 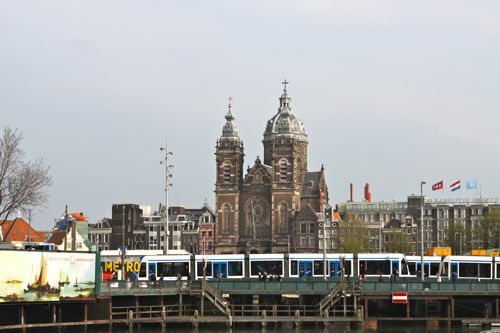 Although I´m not from Amsterdam myself (but Rotterdam – I highly recommend to visit that city too!) I do feel proud somehow to be Dutch after reading your post. 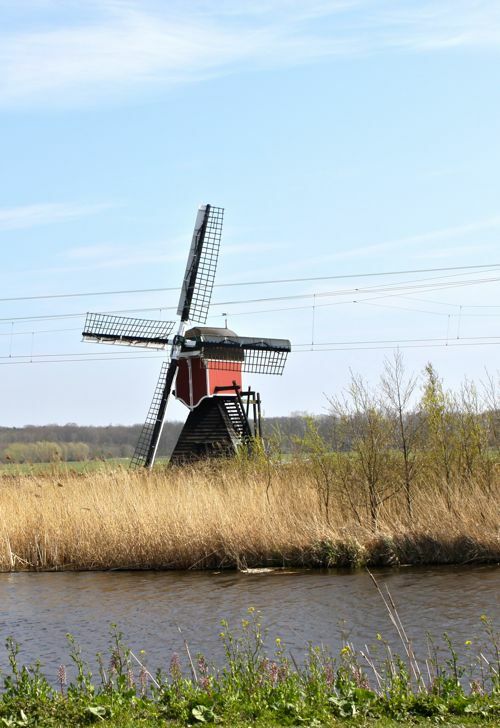 For Dutch, it´s quite strange to feel like that, I think we´re quite modest, but reading your post made be realize that tiny things I totally take for granted are so much appreciated by visiting travellers and tourist. So thanks again for your nice and kind words on our capital, much appreciated! So grateful you’ve written about amsterdam. My husband is currently exploring a work possibility there. We’re more adventurous people than our friends and family (we’re Canadian and have lived in Denver and the bay area, not super adventurous but much more so than our families! ), and I’m dying to live in Europe and completely immerse myself in a brand new culture. This post about the city makes me want to pick up everything and just GO! And at the very least, it eases my anxiety that I get too dang easily! This is such a great post. My husband and I are planning a trip to Poland and Amsterdam for September and this will certainly be a helpful reference for us. I’ve stayed in AMS for about 36 hours and had just enough time to fall in love with the city. I agree with you about the Anne Frank House. Definitely worth the wait.